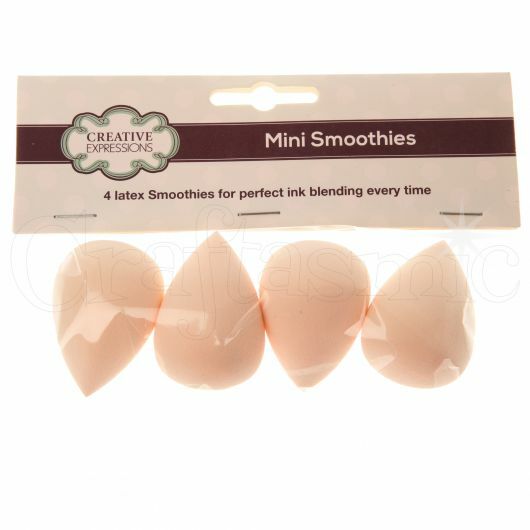 Creative Expressions Smoothies are wonderful little latex blending tools. Package contains 4 latex sponges measuring approx. 1.25" x 1.75". Use with any water-based inks for even blending. Clean with tap water and squeeze dry.